Create bar charts for business management problem solving and data comparison using the ConceptDraw DIAGRAM diagramming and vector drawing software extended with the Bar Graphs Solution from the Graphs and Charts area of ConceptDraw Solition Park. Example 1. 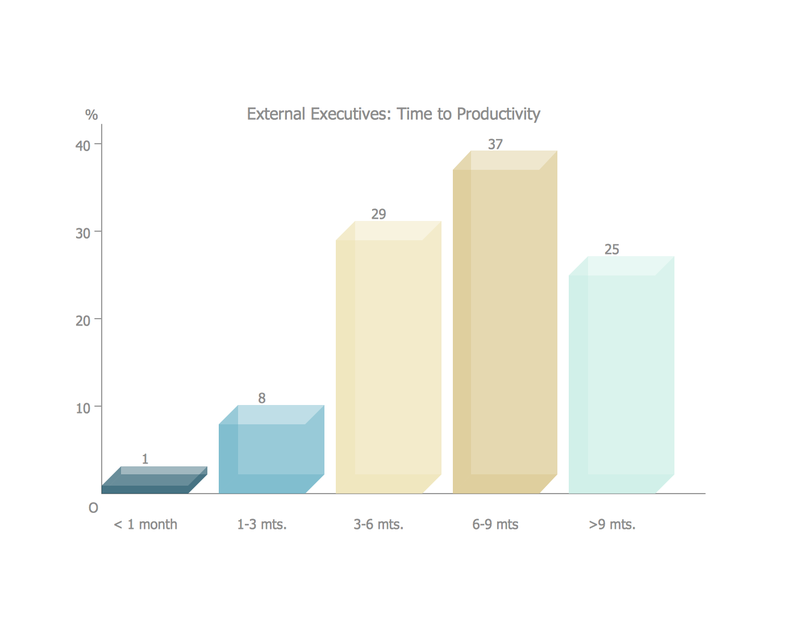 Vertical bar chart example - External Executives: Time-to-Productivity. "The above chart depicts the amount of time that can be be needed if the new leader is coming from outside of the organization or group. The analysis emphasizes two points; first that the amount of time for an external candidate to adapt to their new environment can be considerable and second that planned leadership changes can be the most successful in preparing both the new leader and the team by allotting more time and resources to create a successful transition. The most crucial time in the integration process is labeled the transition phase. During this period both the team leader and team members should focus on activities related to structuring the team, planning the team’s work, and evaluating the team’s performance such that the team will ultimately be able to achieve its goal or objective in order to establish the structures and processes that will enable future effectiveness." 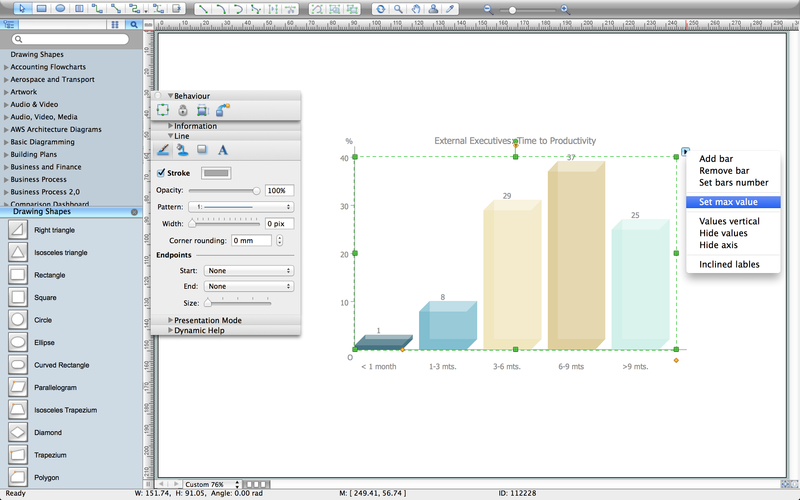 This bar chart was redesigned using the ConceptDraw DIAGRAM from the Wikimedia Commons file: Chart 3- time to productivity.jpg.